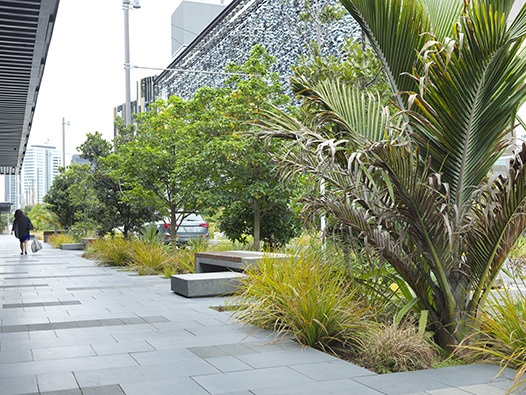 Our Rain Garden Mix has been developed for use in minimising stormwater run-off in urban areas of Auckland and other regions. The blend, organic compost, quality sand and loam topsoil, is specially designed to absorb water readily whilst allowing for a slower release of that water, reducing the possibility of overflow onto footpaths and roads. The Project specifier will generally detail the installation instructions for the raingarden media. Rain Garden Mix will maintain healthy plant growth, retain contaminants and reduce flow to the storm water system. Apply Living Earth More than Mulch to a depth of 75mm to assist in maintaining soil moisture and to avoid surface sealing, which reduces permeability. Certified 100% Organic by BioGro, New Zealand's leading organic certification agency. No chemicals here, my friend. This product contains no weeds. None whatsoever. Nada. Zip. Zero. Zilch. When spreading ECO Mulch by hand, the use of gloves is recommended. Spread mulch 30 - 50mm around annuals and perennials. Spread mulch 50 - 100mm around existing trees and shrubs.